"not only do we not have the originals, we don’t have the first copies of the originals. We don’t even have copies of the copies of the originals, or copies of the copies of the copies of the originals. What we have are copies made later-much later. In most instances, they are copies made many centuries later. And these copies all differ from one another, and many thousands of places . . . Possibly it is easiest to put it in comparative terms: There are more differences among our manuscripts and there are words in the new testament." 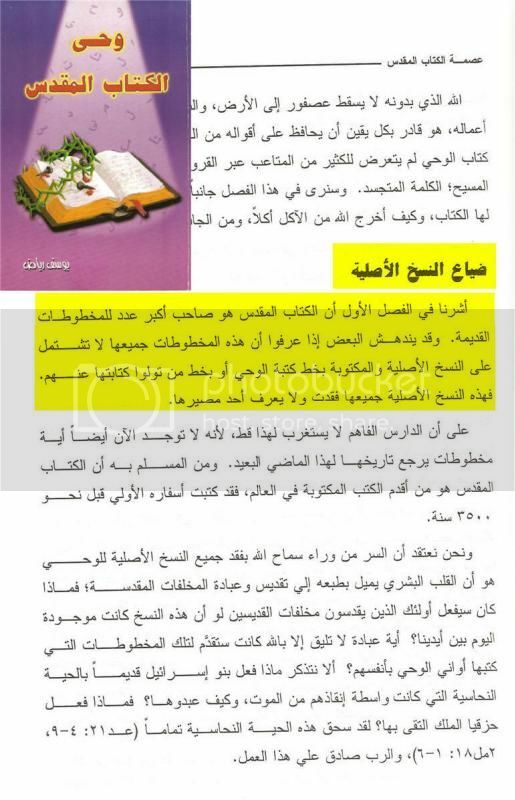 اثبات عبادتهم للكتاب المقدس وليس الله المقدس .